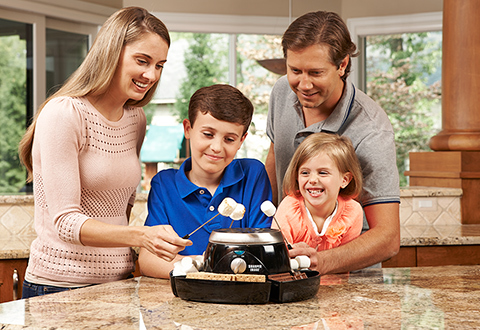 Experience the interactive fun of s’mores all year ’round with our Electric S’mores Maker. There are no dangerous flames to worry about. 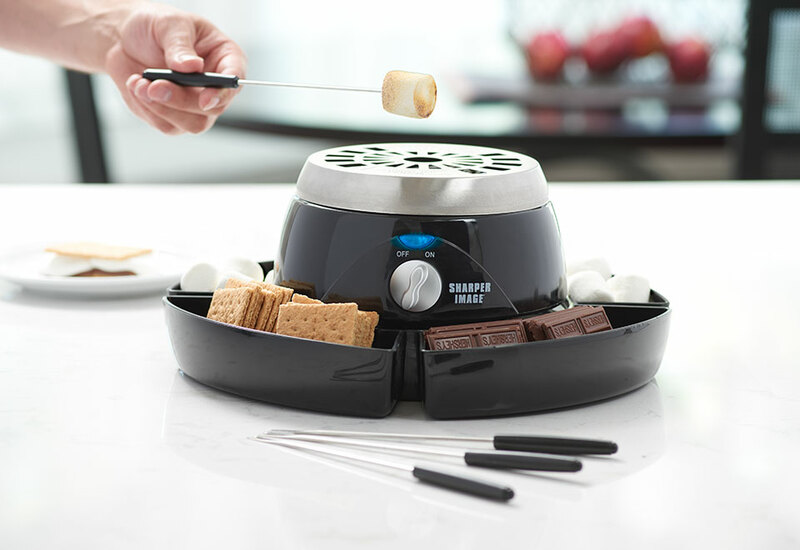 The Electric S'mores Maker uses a stainless steel electric heater to warm your marshmallows to toasty, gooey perfection. Load the four tray compartments with graham crackers, chocolate squares, marshmallows and other goodies... and let the fun begin. Try it at a party for an instant conversation starter! 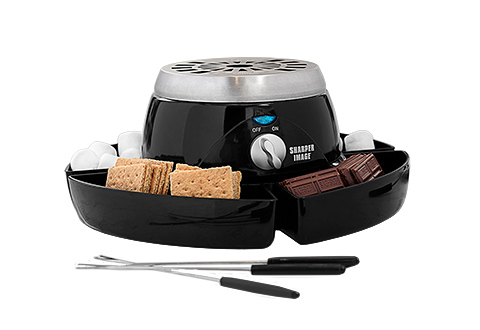 Includes four stainless steel s’mores sticks. Plugs into an AC outlet. 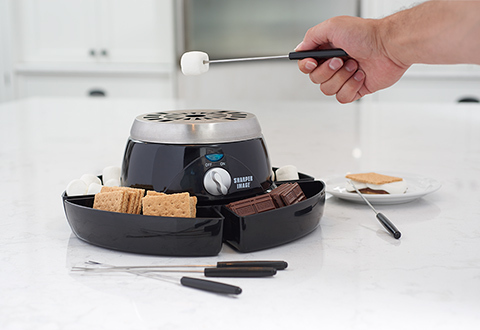 Now you can enjoy tasty homemade s’mores indoors. 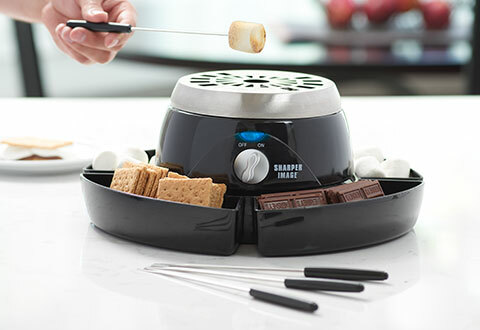 The Electric S’mores Maker lets you make tasty camp-style treats all year round — without dangerous flames! - Peanut Butter S’mores: Spread peanut butter on the graham crackers and add a slice of banana before adding the chocolate and marshmallow. 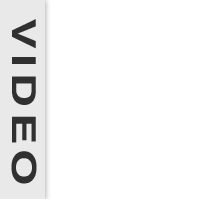 - Cookie S’mores: Replace the graham cracker with a chocolate sandwich cookie. Split the cookie in half and add chocolate and the toasted marshmallow. - Butterscotch S’mores: Replace the graham cracker with butterscotch chip cookies. Use butterscotch chips instead of chocolate and add a toasted marshmallow drizzled with butterscotch sauce. Top with the butterscotch cookie.